With construction nearly complete on the escalators climbing up Centre Street, one of Sai Ying Pun's many steep hills, the area will soon provide far greater accessibility. 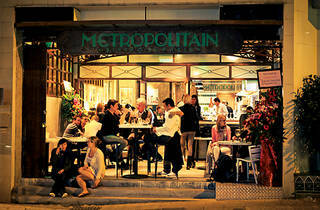 New restaurants have already begun to pop up in response, including recently opened French bistro, Metropolitain. The restaurant, with charming design elements, mimicking a Parisian Métro, is the latest project from French Creations, the crew behind some of the most successful new Gallic joints in town including Le Boudoir, FAB, Pastis and St Germain. A spacious patio, big windows and high ceilings all contribute to the restaurant's airy feel, while the walls, decorated with French-themed artwork, add some serious panache. As you might expect, the menu focuses on French cuisine. But the difference with Metropolitain is that it does it with a home-style touch. Starters range from snails in garlic butter ($68) to the enticing homemade foie gras with chutney and brioche ($148), as well as the well-seasoned and refreshing salmon tartare ($78), pleasantly presented with a lemon slice and streaks of reduced balsamic and pesto sauce. 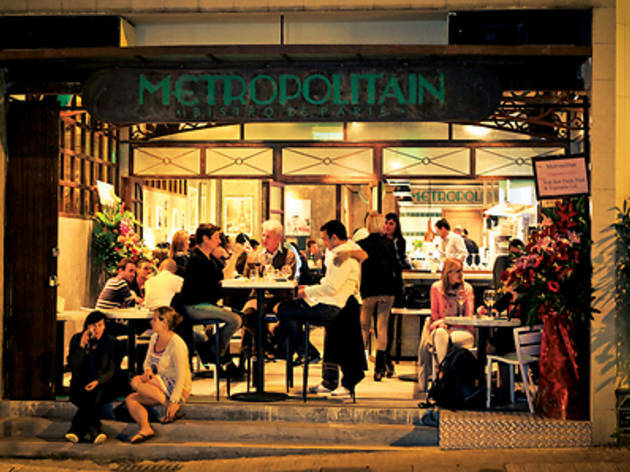 Metropolitain's main courses are hearty propositions. From the braised lamb shanks with mash ($178) to the grilled half chicken with fried potatoes ($128), you can definitely get your fill here. We plump, however, for the lighter steak tartare ($80/$158), served with fries or salad. Although tasty, it lacks a bit of pizzazz and is instantly improved by a dash of ground pepper and Tabasco sauce. These condiments, while available at Metropolitain on request, are traditionally served alongside the dish anyway. We then finish with a well-made crème brûlée ($50) and the oozing chocolate fondant ($50), both of which score high points in the classic dessert department. G/F, 46 High St, Sai Ying Pun, 6271-6102; french-creations.com. Tue-Sun midday-11pm. Meal for two: around $400.